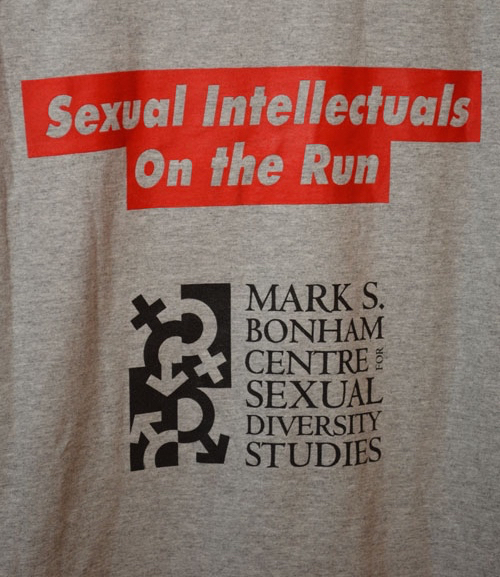 Front: "Uoft OUTpacers" Back: "Sexual Intellectuals On the Run: Mark S. Bonham Centre for Sexual Diversity"
Front: Red box with text. 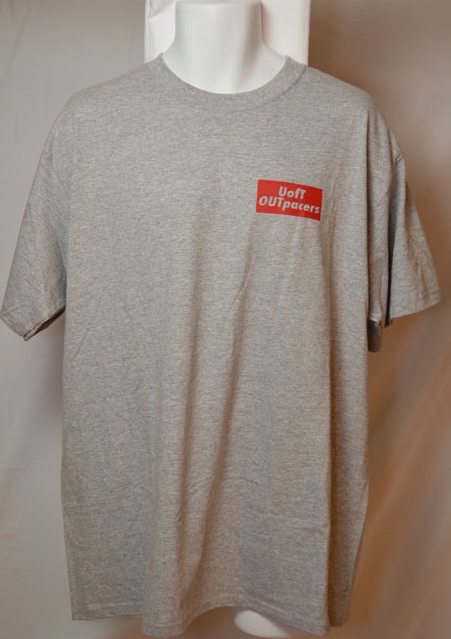 Back: Red box with text and black lettering and a logo of the Venus and Mars symbols. 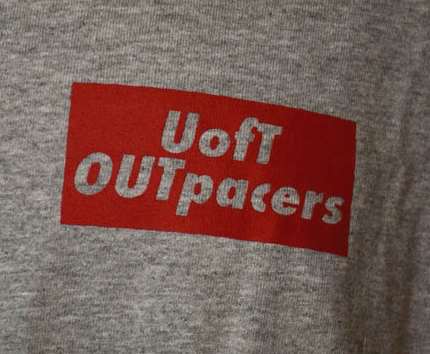 “OUTpacers,” Wearing Gay History, accessed April 19, 2019, http://wearinggayhistory.com/items/show/4153.